There's room to your left mate! 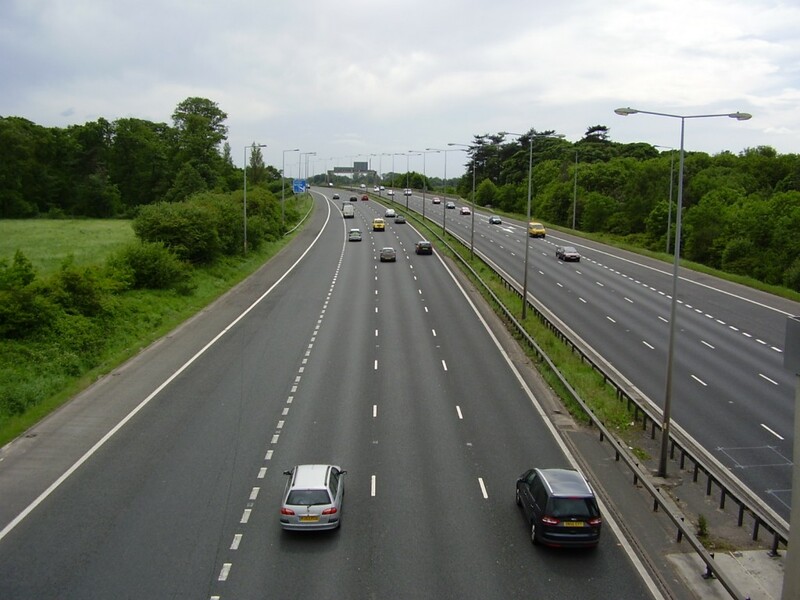 Maybe I’m a hothead, but my personal number one traffic annoyance is, by several miles: people sticking on the centre or right section of the road when there’s plenty of room to move one or more lanes over to the left. As you know – or at least you’re supposed to know it if you have a driver’s license – you’re supposed to overtake a slower moving vehicle on the outside lane, by UK definition. To avoid confusion, in the UK the outside lane is the lane furthest from the shoulder of the road. In what’s pretty much the rest of the world that’s the inside lane and you’re supposed to speed by on the inside lane. Just to make it clear: in both cases overtaking is done on the lane further from the road’s shoulder. That road regulation is exactly what makes centre-stickers, or even worse, people that unnecessarily stick on the (UK) outside lane, such a pain in the bottom. As I’m going faster, I’m not supposed to pass them on their left, even though there’s an ocean of lanes on that side. Effectively, what centre-stickers do is cut off a significant portion of a road’s capacity, and all of it when we’re dealing with right-siders. Centre-stickers and right-siders are each a very own brand of people. (This is based on years of studying my fellow road users on Dutch highways and I’ll make the explicit assumption that my research equally applies to the UK.) The ones that stay on the right are usually male, suit-wearing and well-to-do. They seem to be in high-up management positions and my hypothesis is that it’s precisely the attitude that got them in their positions that’s making them stick on the right lane too. In both cases I’m forced to either lower my speed to theirs – which is usually quite low because their insecurity doesn’t allow them to drive the speed limit – and stay behind them or to overtake them, illegally, on the left. So not only do they cause a reduction of flow capacity, they’re also the reason (but admittedly not guilty) of dangerous overtaking manoeuvres being performed. How different from the US! I’ve had the absolute pleasure of driving in Florida for a while and it’s heaven. So relaxing and anger-free! The principle is keep-your-lane and that means you can overtake at whatever side you please. There’s a lot less lane changing, a lot less braking and a lot less block-ups occurring. We should get this in Europe too! The system we have seems to be based in the time of two-lane roads and cars having side-view mirrors on only one side. It’s old! So, let’s finally adapt to the new reality! This entry was posted in News and Views and tagged car, Europe, GEM, LS, speed, Speed Limit, UK by The Flying Dutchman. Bookmark the permalink.